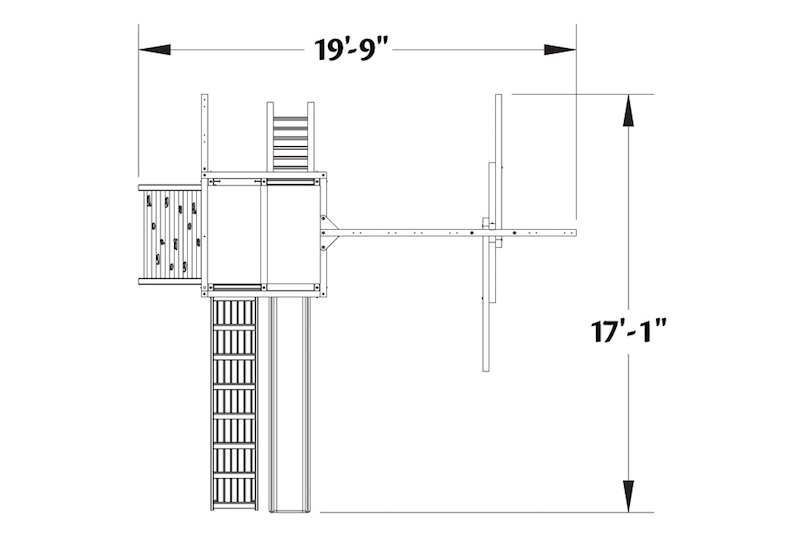 Playhouse playset includes a picnic table, rock wall, slide, heavy-duty swing beam, and ramp. Professional assembly available, please call 1(866)258-3220 for more information. Creativity abounds with this Woodplay Playhouse series playset. This square-based swing set offers classic backyard fun and encourages both active and creative play. As one of our best swing sets, this Playhouse model is great for younger kids and smaller yards, but don’t let its size deceive you. 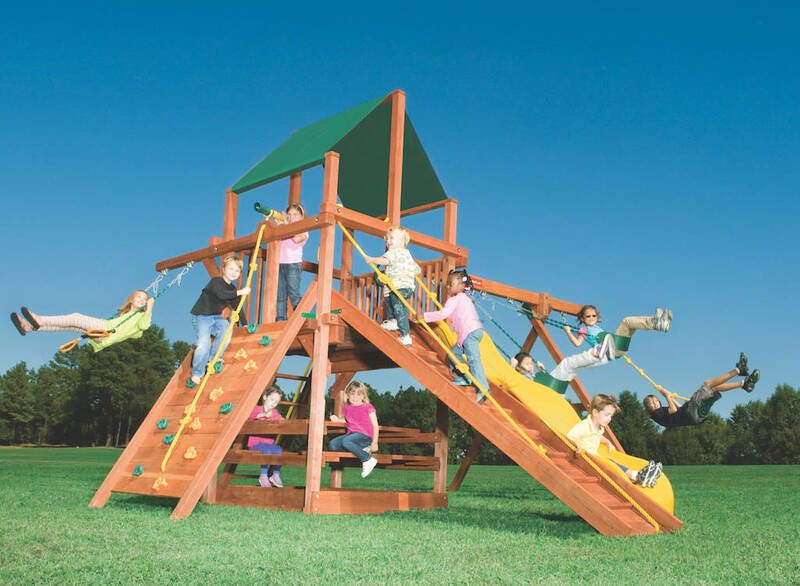 With room for five swings, two climbers, two slides, and plenty of accessories, this playset grows with your kids for long-lasting fun. 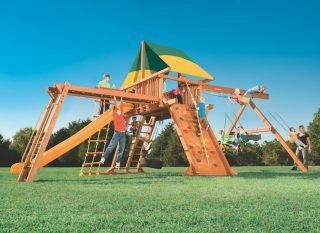 Like all Woodplay wooden playsets, the Playhouse 5’ swing set is fully customizable and has extra room for you to add even more accessories. Quality Lumber. Only from mills that meet or exceed the standards set forth by the FSC*. Larger lumber. Better construction than comparable playsets. Meets all ASTM requirements for quality and safety. 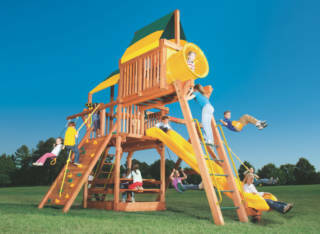 Specially formulated, non-toxic, water-based stain/sealant; protects the playset for years to come.